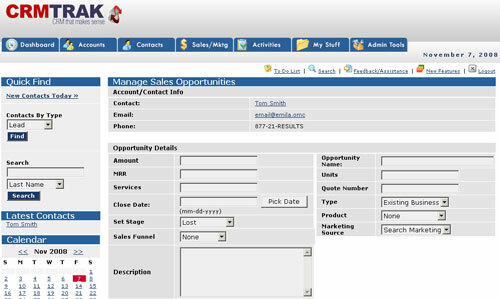 If you need to measure your pipeline and sales team activities, CRMTrak is the right solution. You can measure activities, sales opportunities, closed business, lost business and much more. CRMTrak is perfect for remote sales team members who simply login via a web browser and keep sales information up-to-date.